Friarminnan is now a ruin, located in a wide open moor. Access to it is from Fingland, where there is a locked gate at the end of the public road. Walkers need to make their way north on the old Glasgow Road for about one mile, before striking west across a low ridge towards the cottage. The Friarminnan Burn needs to be crossed, which can be tricky after heavy rain. The Peden Stone is located nearer to the burn, at grid reference NS 741190. 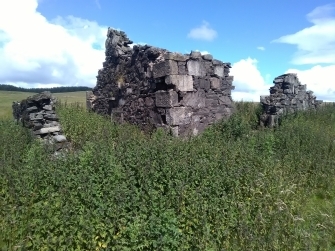 Sometimes spelled Friarminion, this is a very remote former shepherd's house which was much frequented during the time of the Covenanters. There were no roads in the near vicinity at that time, and its low location meant that it was invisible from most vantage points. 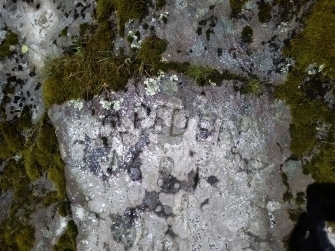 A rock outcrop to the east of the cottage has the words A. PEDEN 1681 inscribed on it. This refers to Rev Alexander Peden, who is believed to have been in the vicinity at the time. At the formation of the Societies, many of the early meetings were held at Friarminnan, and at nearby Blackgannoch (NS 755177).